Borgoe is a Surinam rum brand distilled by Suriname Alcoholic Beverages. It is made from sugar cane from the Mariënburg fields and is sold under the Borgoe label. It is mostly known for it’s soft and gentle character. 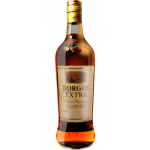 Borgoe Extra Rum is a Suriname brown rum matured in bourbon casks and charcoal filtered. This Ext.. 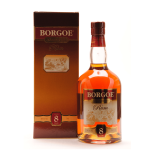 The Borgoe Grand Reserve 8 years old is a matured Suriname rum from white American oak casks whil..